Make Traditional Japanese Sweets with Green Tea! You must be a member of the Tokyo Culture Group to attend this activity. Would you like to join this group? 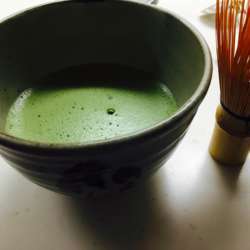 Make Traditional Japanese Sweets Lesson with Green Tea! Create your own Nerikiri sweets and eat them with green tea. Let's make basic Nerikiri. I will bring all the ingredients, so you don't have to bring anything. I am not a professional, but I know how to make basic Nerikiri, so let's try together.